Hey William, great stuff as usual! I read a rumor a while ago from a VMware employee over on the HTML5 fling site that stated VMware was going to remove all references to the build number in the software, as it’s only used by internal engineering. I won’t go on about how bad I think this is 🙂 but do you know anything about this? If so, put me down on the “keep the build number” list. Thanks again! Hey William, those KB articles are not very new, it just used to be one single article for both vCenter Server, ESXi and some SDDC-related products. Have been using this single and now the multiple ones ever since. Would really not like if the build numbers could not be easily retrieved anymore from the UIs – please keep em! Also, +1 for showing the Update release in UI as well as API. Always a PITA to manually map these when talking to or preparing stuff for customers. I am new to PowerCLI. 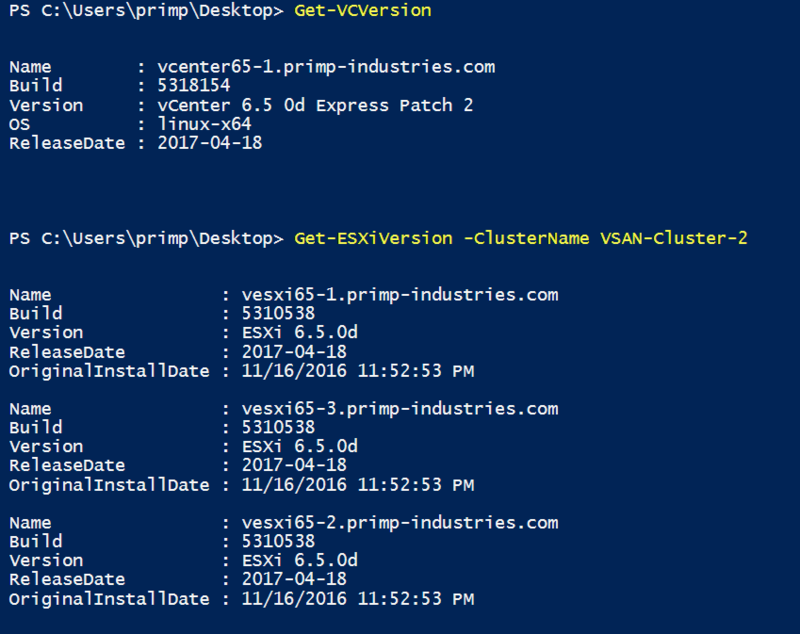 How do I run this script in PowerCLI? Finally figured how to run the script. Cool script! Thank you very much! I agree that this information should be available in vCenter Web Client (Flash and HTML5). 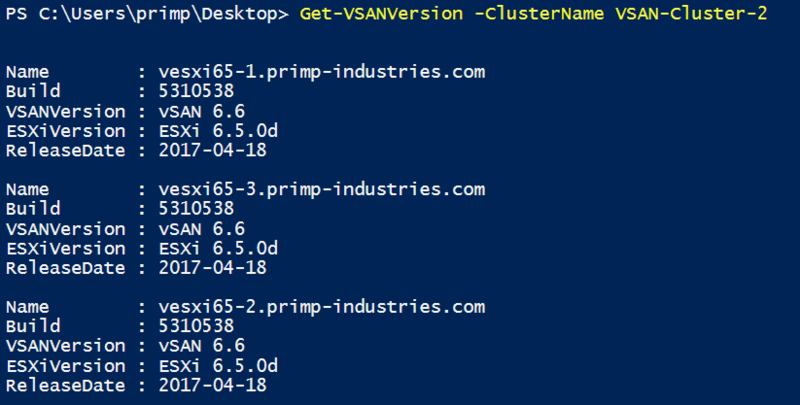 At work we have 5 Vcenters so via PowerCLI I login into multiple VCS. When I run Get-VCVerison it only shows one VC not all 5. I have DefaultVIServermode set to multiple. Can you please help me how can I fix this issue.